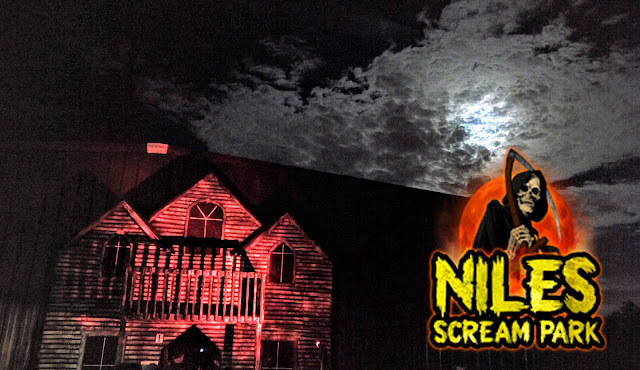 I took my younger brother with me to check out Nightmare on Edgewood -- we both have worked in the haunt industry for awhile so it was neat to finally get to check out a new haunt. Needless to say, we both left Nightmare on Edgewood more than impressed -- what we really dug was the seamless transition from one attraction to another. Furthermore, the actors really seemed to be digging what they were doing, especially some of the outdoor scenes. It's always been are liking that the more intense and in-your-face that the actor gets, the better! And the fine ladies and gents of the Nightmare on Edgewood's school bus scene really brought. I also give props to the builders and creators that manage to fit so much into such a tiny space. So for that, congrats. We also loved the majority of the haunt was basically hidden from eye-sight until you entered. Here's to hoping that Nightmare on Edgewood can match 2013's success in 2014!